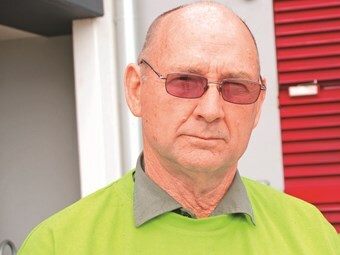 Owner-driver Ken Wilkie is sick of hearing 'truckie' being used as a negative. In his latest column for Owner//Driver, owner-operator and columnist Ken Wilkie has taken aim at the media who use ‘truckie’ as a means to denigrate and those bureaucrats who still don’t get it. Radio shock jocks are the first stop in Wilkie’s barrage. "It’s a crime against the decency of society – if proven of course," Wilkie says. "But why the bold type describing the individual as an ex-truckie? Why not just describe the accused as a foster carer. Why mention the accused’s past employment at all? "I have sworn to respect confidentiality, but the gall and dishonesty coming from shock jock Ray Hadley’s microphone is absolute poison. That these cowboys must be removed from the road was his rational." Citing a case where a southern NSW trucking company has been ostracised after one of its drivers suffered a medical blackout, and another where a driver didn’t understand all fatigue regulations and was left with "three $14,000 fines plus three times four mandatory demerit points," Wilkie asks why "the lies and deceitful innuendo go on and on." "What is it about those of us who drive trucks that allows, even seems to encourage, lying filth with attitude to slander our profession at every possible opportunity?" With these slanderous and legal worries in mind, Wilkie says operators are going to extraordinary lengths to avoid a mishap. Highlighting the fact that he has spring brakes on five of his six axles, he resents the need to place rubber blocks in front and behind a set of his tyres in the rest stop. "Real truckies understand that applying the parking brake involves releasing the air pressure that holds a pair of powerful springs compressed on each of the five axles of all single trailer combinations," he says. "On properly maintained bits of gear, if enough force could be applied to move a vehicle so equipped with applied spring brakes, no axles would rotate. "The requirement to place rubber blocks in front and/or behind a set of tyres, even on dead flat ground, stems from the terror of companies being held vulnerable to libel action if by some minuscule chance an unloading or loading vehicle moves. "It is simply not responsible to ensure the operator has applied the anchors before demounting. "Companies are petrified of some legal eagle doing a number on themselves." And this legal hesitation even extends to staying off his one-metre high trailer while parked in some sites, making the task of cleaning off rubbish left to equipment. "They take the issue so seriously that they provide an air blower for my use," Wilkie says. "Several sites also have a policy of not being on the deck to place the corflute between pallets during the loading process. These people still expect the load delivered in the same condition as loaded. "All this concern, ladies and gentlemen, is not for yours and my wellbeing. It is simply that management is petrified that some smart lawyer will be able to construe an incident of someone’s negligence into a money spinner for the negligent one." Read more of Wilkie’s thoughts on the media, bureaucrats, night shifts and out of hours work in his column in November’s Owner//Driver. Subscribe here.